Appearance: Complete absence of any black/dark pigment. Red pupils and pink tongue. 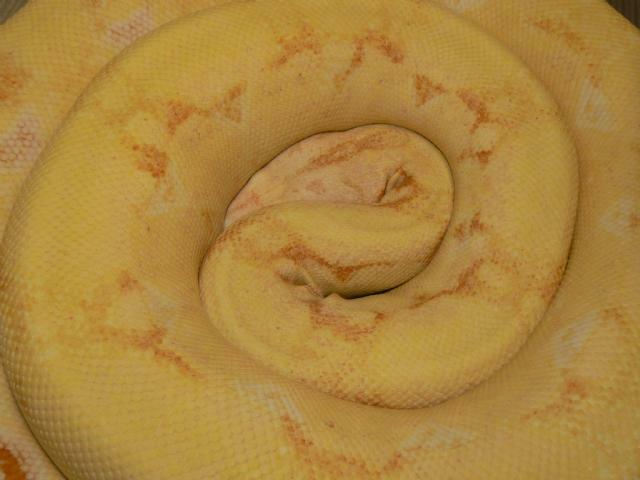 As the name suggests, this line of Albino Boas was originally developed by Peter Kahl. 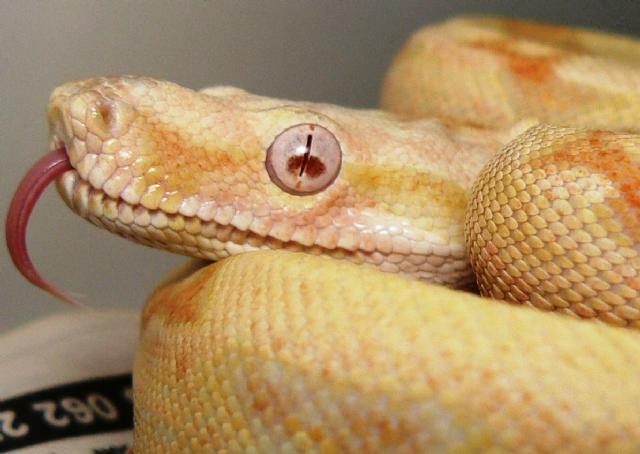 In 1992, Peter bred a male Albino Boa (one of 4 Albino Boas imported into the U.S. in 1983) to a Het Albino female to become the first person to reproduce Albino Boas in captivity. 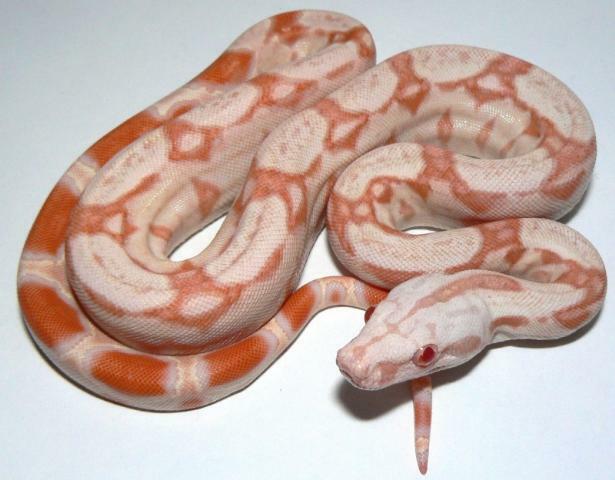 This strain (or line) of Albino Boas are referred to today as Kahl Albinos, or the "original" Albino. 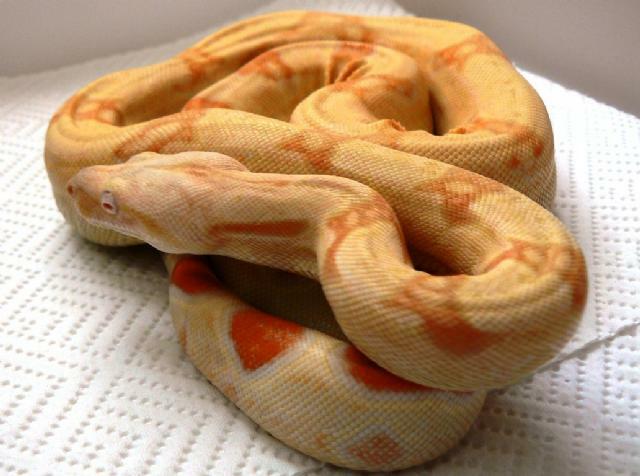 The pictures below show the visual Kahl Strain Albinos in our collection.